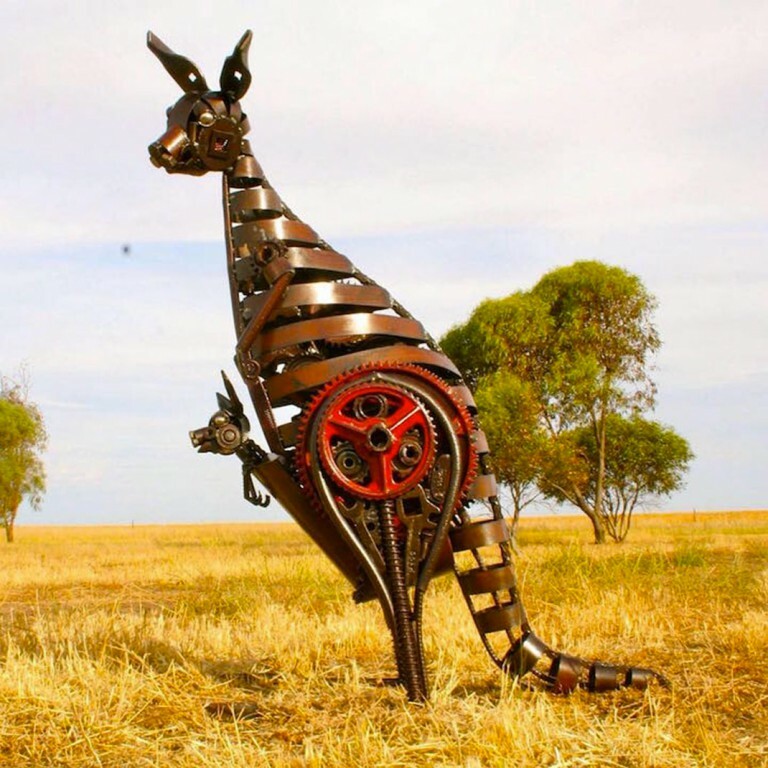 An Australian craftsman uses patience and meticulousness to make stunning animals with nothing but recycled metal. 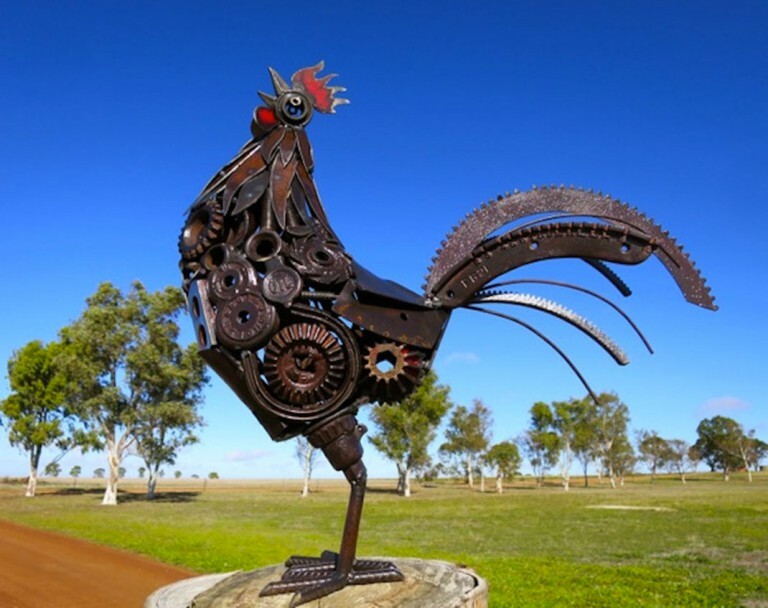 His creations are impressive and give rise to an exceptional result. 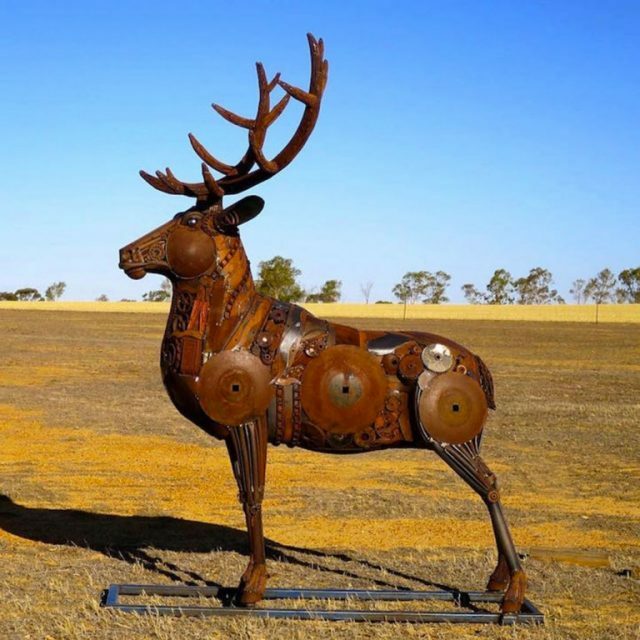 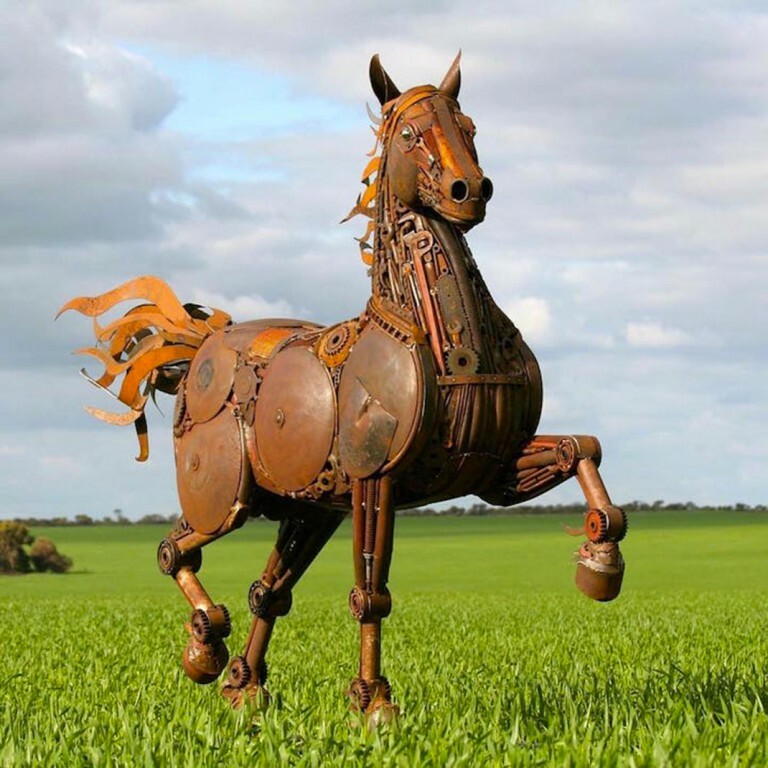 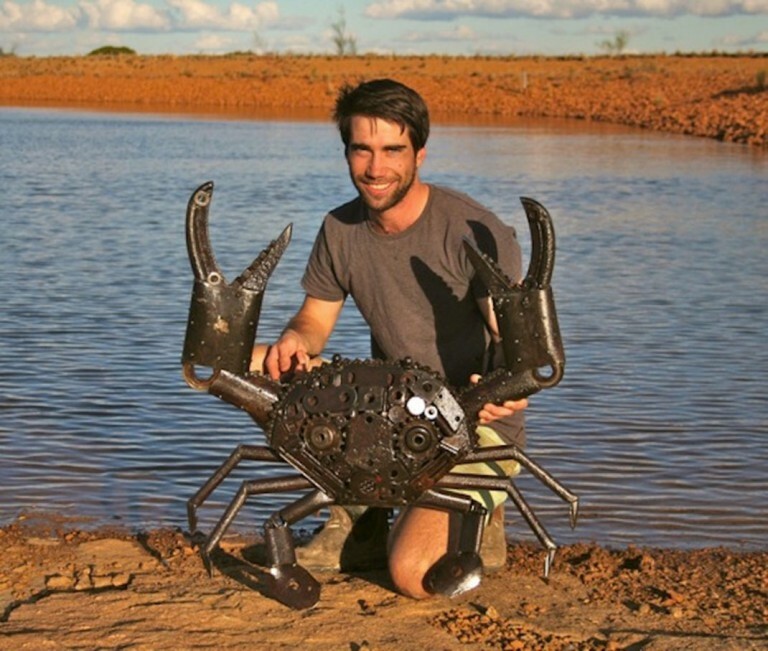 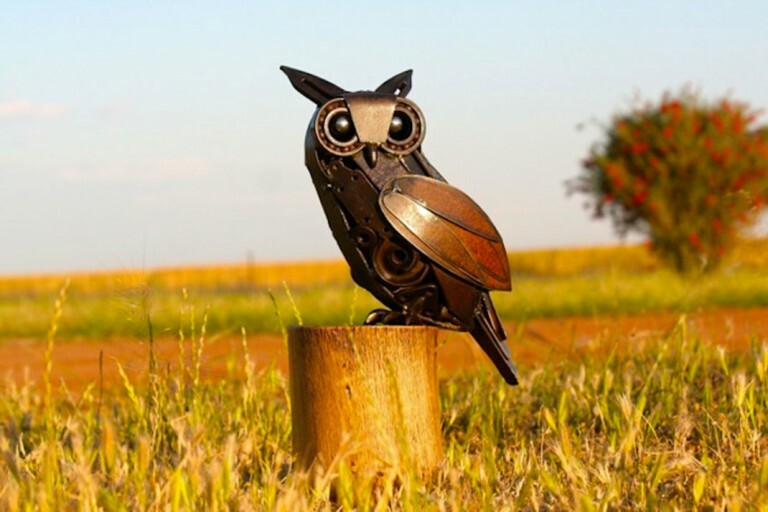 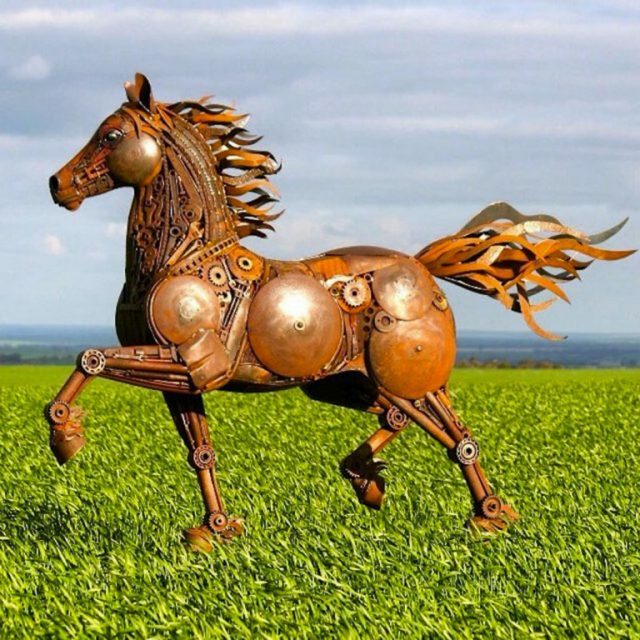 Jordan Sprigg is an Australian self-taught artist who gives life to the metal through sculptures made of old machinery, or used tools and other objects. “I am the son of a farmer, so I used what I could and I found these objects were very helpful in making art – and they were not expensive,” Explain to he said. 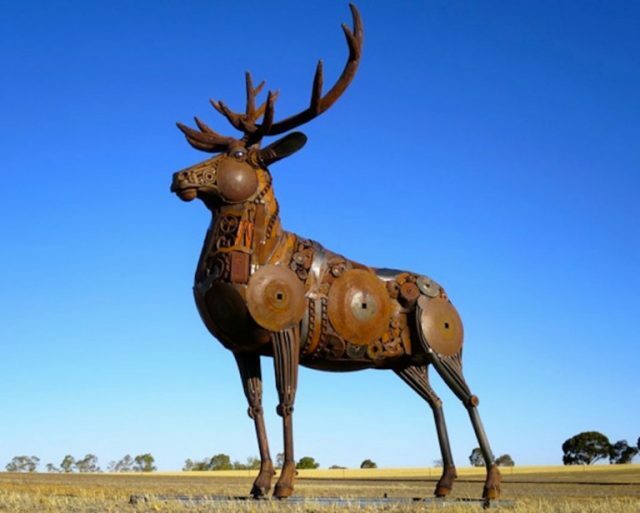 During a long and complicated process, the artist transforms scrap metal into beautiful metallic-sized animals. 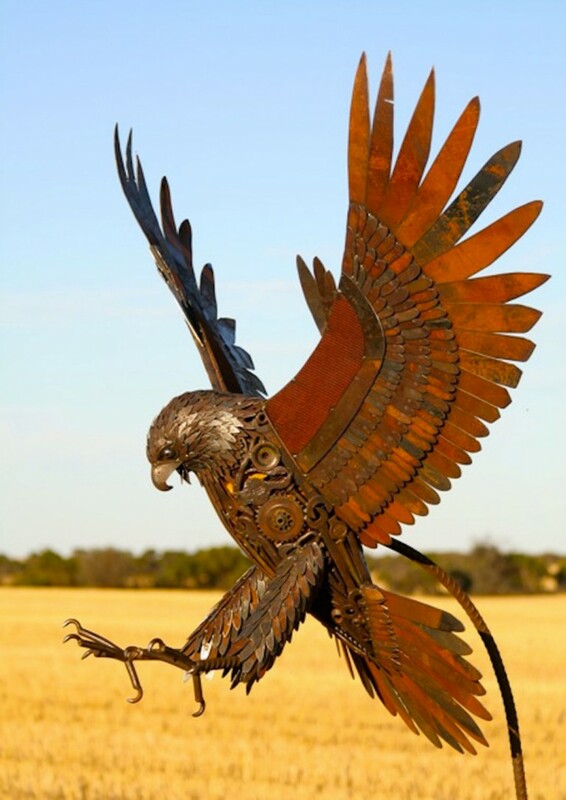 To design the Nerembeen Hawk, for example, it took him 260 hours of work. 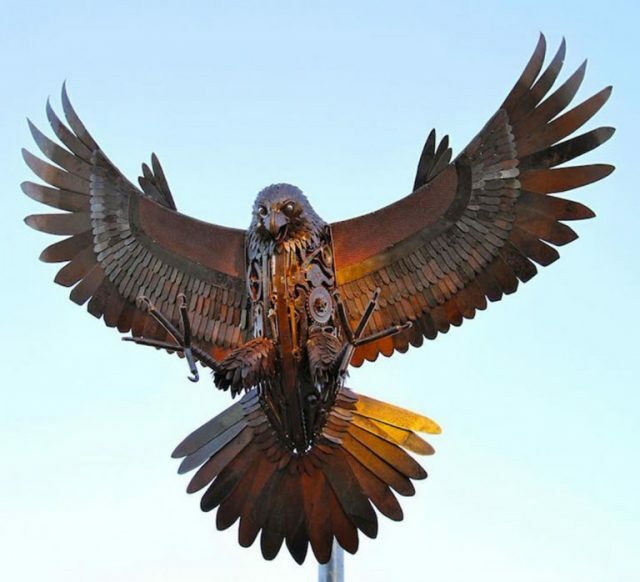 For Jordan Sprigg ha had to individually cut 1,000 feathers involved in very imposing size of the animal, which is 2.5 meters. 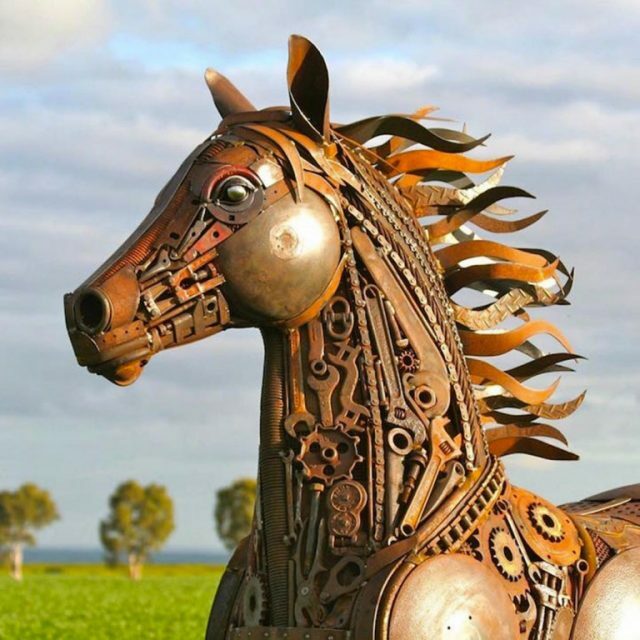 These metal creations have a really bluffing realism and have the thoroughness required for such work.